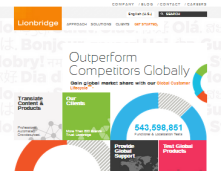 Lionbridge Technologies Reviews - Legit or Scam? Crowdsourcing is when a company takes a job they need completed and breaks it into small, easily manageable tasks which can be quickly and efficiently completed by a group of workers, rather than by one person. There is a wide variety of work that you can do in the Lionbridge crowdsourcing environment, including jobs like an Internet Assessor, Content Judge, Ad Assessor, Crowd Worker, Social Media Assessor, and more. Some jobs will be paid on a task basis, while others will be paid per hour, depending on the type of job it is. Also payment will differ depending on your country of residence, so Lionbridge employees who move states of residence will need to reapply from their new country. There have been complaints regarding crowdsourcing and the low levels of pay for the tasks that you complete. If you are interested in this job opportunity, there are certain things you need to do in order to qualify for higher paying jobs. First, before you can qualify to work for Lionbridge, you must take qualifying exams that assess your skills. Take these exams very seriously – the better you do, the more jobs and higher pay you will be qualified for. Second, once you do begin work at Lionbridge, do not take for granted the simplicity of the tasks. If you do not successfully or accurately complete a task, your ranking will fall and you may not qualify for higher paying jobs. In general, crowdsourcing may be an effective way of earning a supplemental income, though new reports coming out are showing that it may be a difficult way to earn a livable wage. If you are interested in this kind of work, it may benefit you to sign up at many different crowdsourcing employers to give yourself the best possible chance of earning.